Every time the curtain goes up and the music starts, I think what an incredible joy it is to have such a beautiful theater for our students and community. My family loved music, and I grew up with many opportunities to appreciate and participate in the arts. Because I always enjoyed the extraordinary music performances in the Castro Valley schools, I became a supporter of their programs for many years and was immediately attracted to the idea of a performing arts center in Castro Valley. When the CVSUD made the call to find community support, I was immediately on board. My thought was to get these kids out of the local school cafeterias and provide a classy venue to showcase their amazing talents. In 1998, the Castro Valley Center for the Arts became reality, and I proudly became a co-founder of the CVAF. Membership on the board has been a wonderfully rewarding experience and offers me the opportunity to do what I love – to support the arts and the CFA. 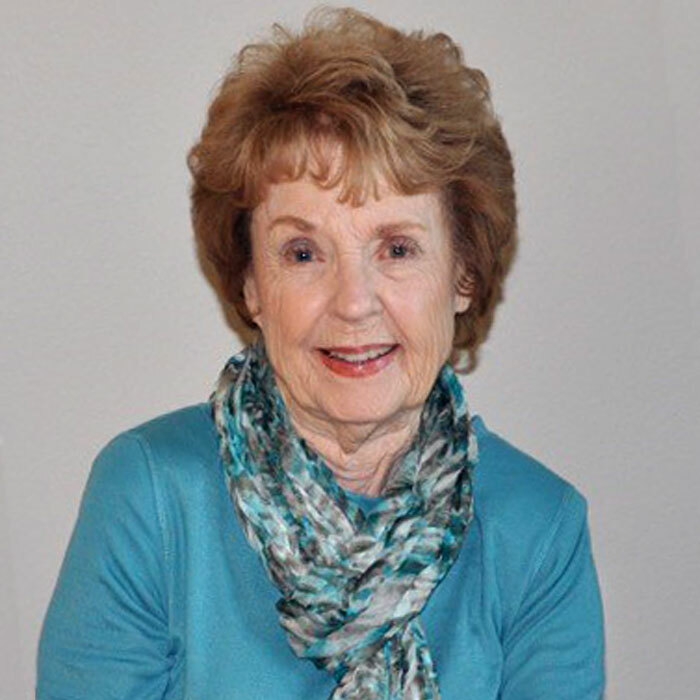 After graduating from the University of Utah, Erma taught several years before raising her family in Castro Valley. She and her husband Owen owned and operated several businesses in the area. In 1991, they established The Smith Center for Private Enterprise Studies at California State University, East Bay. Owen and Erma were always very involved in the local community by supporting many charitable organizations, and both were especially passionate about the Castro Valley Center for the Arts and the CVAF. Erma’s fellow board members delight in Erma’s humor and together they support the Smith family vision and passion for the arts.